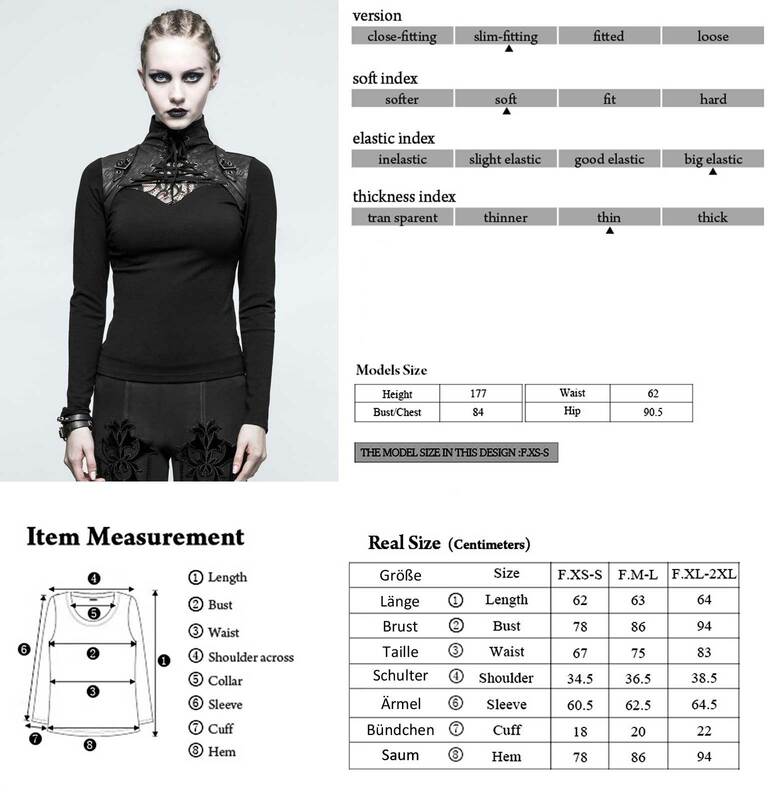 Great gothic top for women by Punk Rave. 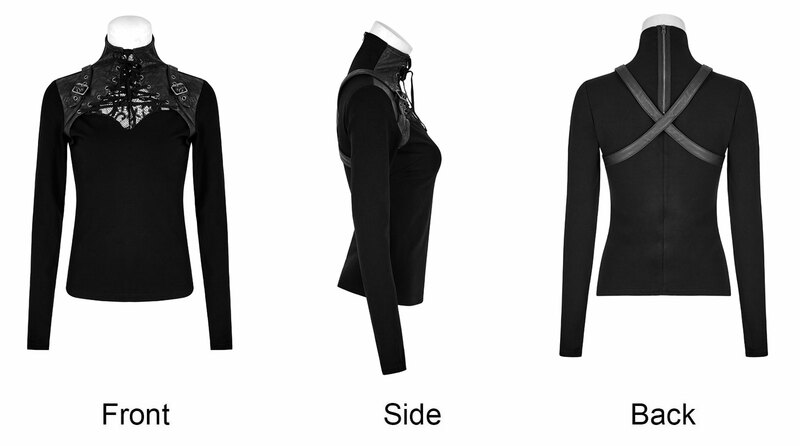 Elastic jersey with distinctive neck. 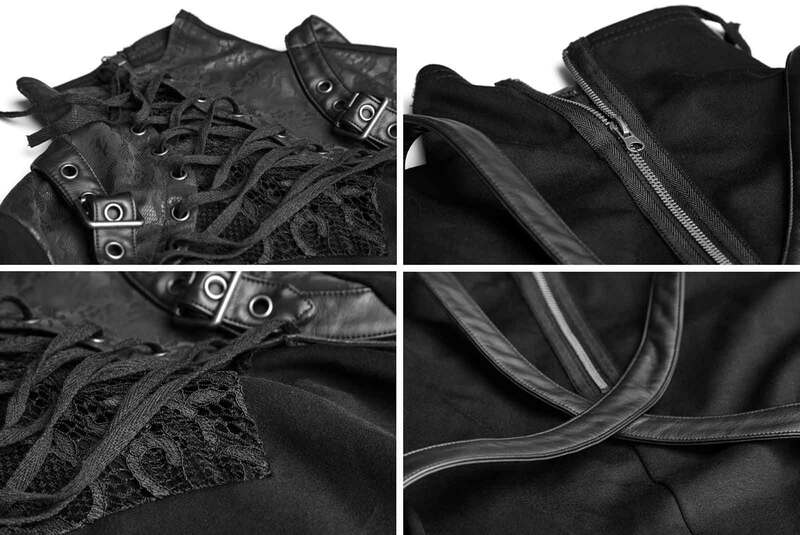 Faux leather and lace contrast; high neck with corset-like lacing; straps. Great gothic top for women by Punk Rave. 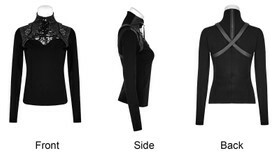 Elastic deep black jersey with distinctive neck. Shoulders with faux leather and lace contrast; high neck with corset-like lacing. Two straps crossing the back.